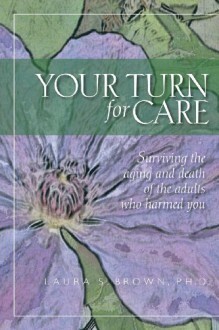 Your Turn is the first book for adults who were abused and maltreated by older family members who are now faced with the aging and death of those abusive elders. This book discusses the reasons that this normal life passage has become especially difficult for adult survivors, drawing on psychological research about the long-term effects of childhood maltreatment. It then addresses how adult survivors can move through this time of time and make it into an opportunity for their own healing. Specific suggestions for self-care and strategies for decision-making are presented. An extensive list of written and on-line resources on a variety of related topics is included in the book. Your Turn is the only book that speaks to the special concerns of adult survivors of childhood maltreatment who are at this juncture in their lives.